Research shows that America’s 350,000-plus manufacturing facilities annually spend nearly $200 billion on indirect materials (also known as maintenance, repair and operations [MRO] products). Research also shows that a large percentage of these facilities don’t manage the specification, purchase, storage and consumption of indirect materials (items such as tools, bearings, motors, PPE, etc.) to the same extent that they manage their direct materials (steel, plastic, production chemicals, etc.). 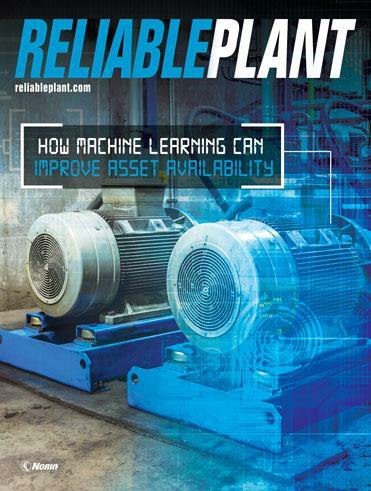 To examine this topic and identify ways that plant-floor leaders can benefit from better management and optimization of their indirect materials, Reliable Plant editor Paul V. Arnold interviewed Sandra A. Taylor, the vice president of corporate accounts for Grainger. The company is a $5.5 billion distributor of industrial supplies. Arnold: In an age when everyone wants to reduce costs and become more efficient, indirect materials often are overlooked. Can closely examining how “maintenance” products are bought, stored and consumed provide a golden opportunity for plants? Taylor: Your assessment of direct vs. indirect is right on. I spent time with leaders from a very large company last week. I asked them how much they spent on MRO. They looked at me like a deer in the headlights and absolutely, positively had no idea. It’s not an area where customers have a good grasp. But the opportunities are huge. With help and guidance, it’s quite possible to see a 25 percent reduction in MRO total cost. Arnold: What can plant-floor leaders do to get their hands around their indirect materials procurement and strategically manage their spend? Taylor: It should start with an assessment. Your key distributor, a company like Grainger, can do this for you at no charge. The assessment is done through interviews and looking through past purchase orders. Conversations take place with the maintenance, engineering and plant managers. They discuss how the plant is currently procuring items, what it is buying and to what degree the purchases are planned vs. unplanned. The end result is a report that tells you exactly what’s going on with your indirect materials spend. If the customer gives us access to the right information, we can provide them with a nice history spanning the last few years. Arnold: What can plants do to better understand their unplanned purchases? Taylor: Our research shows that about 40 percent of MRO dollars are spent in the unplanned area. By unplanned, I mean infrequent purchases. You may buy the item today, but the need may not come up again for another year or so. By working closely with your key distributor, you can develop an implementation schedule related to suggestions and ideas to reduce cost and save time. One of the ways we strongly encourage customers to reduce their costs is to not buy it until you need it. That’s a different way of thinking. This greatly reduces your inventory costs, but it all comes down to trust. Don’t buy it until you need it. Count on your distribution partner to carry your just-in-time inventory. When you need it, pick it up today or have it delivered next day. Your key distributor should be able to do this for you. Arnold: What tangible benefits can be gained through strategic sourcing initiatives? Taylor: Take the cost of a purchase order, for example. Customers will say that is a soft cost, but when you understand how much it costs to process a purchase order, that adds up. A large manufacturer shared with us that it spent around $125 to process a purchase order. The item they were buying averaged around $75, so the order processing cost more than the product itself. You can reduce those purchase order costs. Reduce your supplier base to one primary supplier. This lets you consolidate your purchases, leverage your indirect spend and focus your time on activities that will impact your business. Utilize electronic ordering instead of a hard-copy purchase system. You can take that $125 purchase order and reduce it dramatically. When you look at the quantity of purchase orders that you generally have in this area, it’s a huge savings. Arnold: In what other ways can plants benefit by working closely with key suppliers? Taylor: Take advantage of the distributor’s application knowledge. 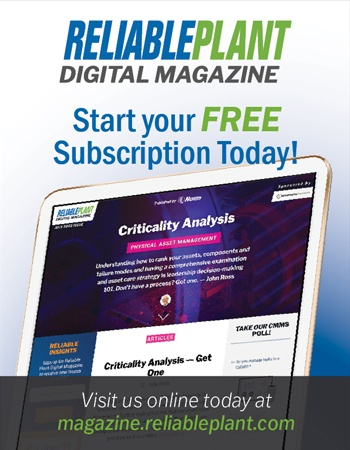 With a full understanding of your plant, its processes and its equipment, on-site sales representatives can recommend alternative products that provide the same functionality but at a lower total life-cycle cost. Many times, customers are unaware that other options exist. These decisions can lead to greater uptime, reduced inventory and lower costs.